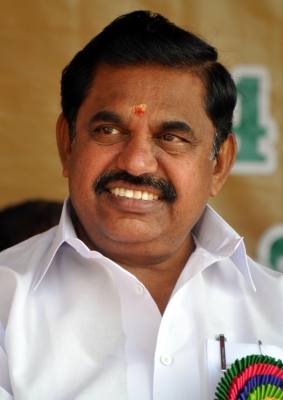 Chennai, July 20 (IANS) Tamil Nadu Chief Minister Edappadi K. Palaniswami on Thursday congratulated Ram Nath Kovind on being elected the next President. “I wish to convey my heartiest congratulations to you on your resounding victory in the election to the post of President of India,” he said in a letter. Former Chief Minister O. Panneerselvam, the leader of an AIADMK faction, also extended his greetings to Kovind. In a statement issued here, Panneerselvam said “with his talent and service they wish Kovind to gain more fame”. National Democratic Alliance (NDA) candidate Kovind was on Thursday elected the 14th President of India, securing a massive margin over his United Progressive Alliance (UPA) rival Meira Kumar in a straight fight.